Private Tunnel is brought to you by OpenVPN Technologies, the creators of OpenVPN security protocol. While the OpenVPN protocol was released in 2002, Private Tunnel made its appearance only in the year 2008. Both the companies are based in Pleasanton, California. In this detailed Private Tunnel review, we look at different features offered by the service and decide whether or not it is worth subscribing. Private Tunnel has servers in 5 different countries – United States, Switzerland, Netherlands, Canada and United Kingdom. 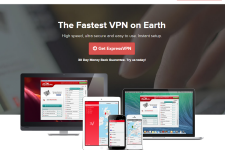 While the range of server locations is not as extensive as some other VPN provider, it would nevertheless help you to unlock location based sites like Fox, HBO Go, Amazon Prime videos, CTV, 4OD, BBC iPlayer, ABC, Netflix, CBS, NFL, ESPN, Spotify, Demand 5, Hulu, NBC, Rara, Zattoo and Pandora even when you are outside designated content delivery zones. The secure service would also help you to circumvent online restrictions put in place by many countries (China, Middle East etc.) and organizations and access sites like Twitter, Skype, Facebook, Gmail and YouTube from anywhere. Since the company has a generous server switching policy, using the service is a great option for those who are looking to unlock local content from many different countries. Private Tunnel offers excellent browsing, downloading and streaming speeds to its customers. However the bandwidth is metered and it depends on the amount of bandwidth currently available in your account. Since the company offers pay as you go VPN plans, you can purchase bandwidth as per your usage preference (browsing, streaming, FTP, VOIP, downloading) so that you don’t run out of it while travelling. Private Tunnel offers unmatched security through OpenVPN protocol. The service creates a strong encryption layer to protect your online sessions so that your passwords, IP address, social accounts and bank details remain safe at all times. The service also helps you to protect your Wi-Fi sessions at coffee shops, airports, malls and hotels since most wireless networks are quite vulnerable to security breaches. Private Tunnel does not hand over your personal information to anyone unless it is required by the law. The company stores log files to monitor server performance and system security but it doesn’t sell personally identifiable information to third parties or advertisers. Private Tunnel is compatible with Windows, Mac, iOS, Android and Linux as well as any other client that can use OpenVPN protocol. The company provides downloadable installation files for Windows and Mac plus it offers Private Tunnel apps for Android and iOS (for iPad and iPhone) through respective App stores. It is possible to use the service from multiple devices and make multiple connections simultaneously. The company offers great support through email. The company has also published detailed instructions for installing, configuring and troubleshooting common problems so it is highly likely that you would find answers to your technical queries on the official site. Private Tunnel is like a prepaid VPN service; you only pay for the bandwidth that you actually use. There are no long term commitments involved plus your unused bandwidth remains available to you forever. The company offers 100 MB free bandwidth so you can test the service without paying upfront money. 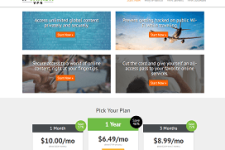 The subscription plans start from $12 for 50 GB, $20 for 100 GB and $50 for 500 GB bandwidth. 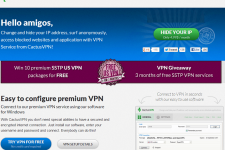 It is also possible to win free bandwidth by referring other people. 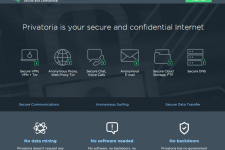 Overall, Private Tunnel offers a rock solid VPN service. 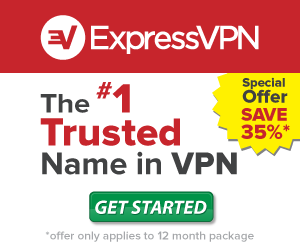 Since it is brought to you by the same team that created OpenVPN protocol, you can expect the best security and privacy from the company. 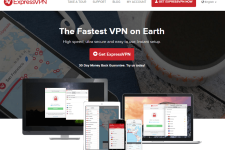 So if you are looking for a flexible VPN service that offers great speed and security, you can check out VPN plans from Private Tunnel. For more information, please visit: www.privatetunnel.com.